Lifestyle meets high end. 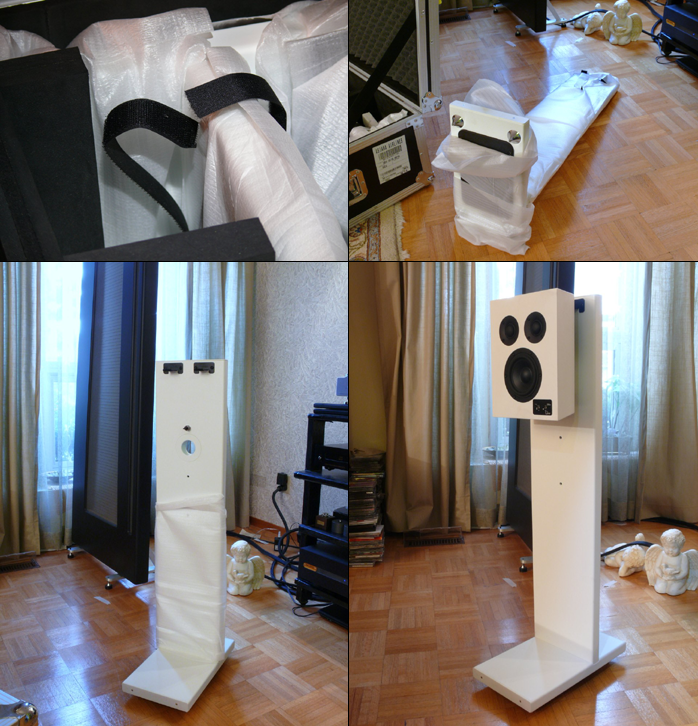 When the ONE and ASTAND arrived on my doorstep, I was forced to create an addendum to a statement I made in a previous piece: "Audiophiles may note (with some amusement) that ultimately there are two classes of audio components - those that come in cardboard and those that arrive in wooden crates." 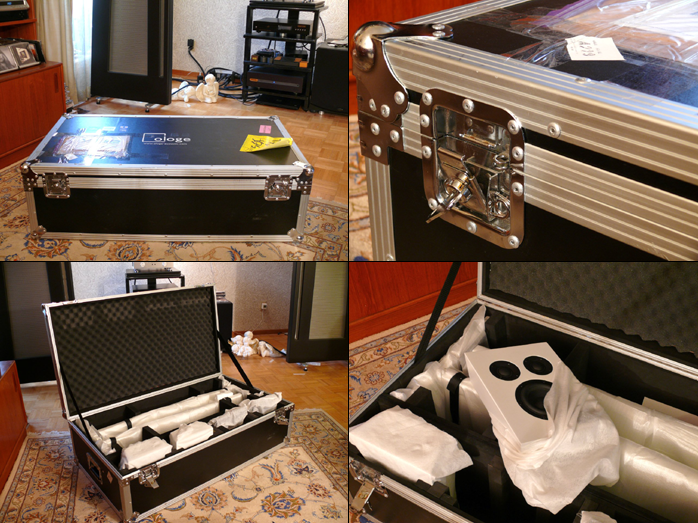 Corollary, class 3 - the professional touring case. Ologe chose to ship their components in this form of heavy-duty hardware. While this does not reflect what a buyer will receive, it did indicate the level of attention the manufacturer felt the products warranted to ensure safe arrival for this review. What’s in a name? Loge (plural loges). Definition: box in theatre: a small private enclosure or box in a theatre. Private area in a theatre where a group can watch the performance… In the metamorphosis that turned definition into company logo, private translated into own and the amalgamated Own Loge became Ologe. Voilà! Your own private portal into the musical experience. The history of Ologe as a company describes the long hard road of evolution, from birth of concept by knowledgeable enthusiasts to concrete realization of a commercial enterprise. 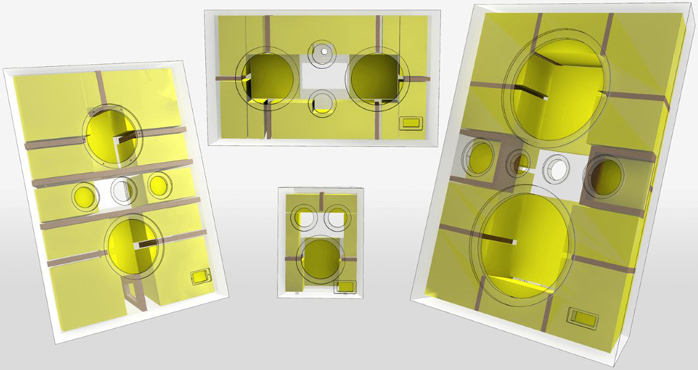 What began on paper as a driver/cabinet design to achieve linear frequency response and a wide soundstage from a low-volume sealed enclosure would involve engineering efforts in Germany and Japan and take serious investment to come to fruition. As the design went from paper to product it required extensive prototyping as the company perfected manufacturing techniques. Cone material was sourced from Germany, UK and Japan, drivers were made in Taiwan and assembly was done in Japan all to stringent tolerances. By the time Ologe began shipping in 2010, four years had passed. Our Teutonic manufacturer is a prime example of a local company with global affiliations. It is a German brand, Asian funded, with an R&D office based in Germany and daily administration run out of Japan. 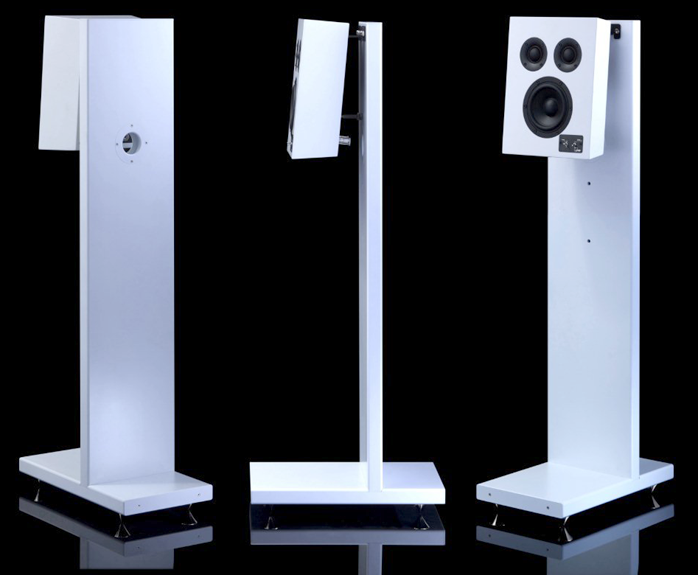 The lineup is currently comprised of a preamp called the UNI, the SOLO and DUO amplifiers as well as four full-range loudspeakers, the ZERO, ONE, FIVE and TEN plus the TWENTY subwoofer. To accommodate different mounting requirements, Ologe provides a number of accessory mounts and stands. 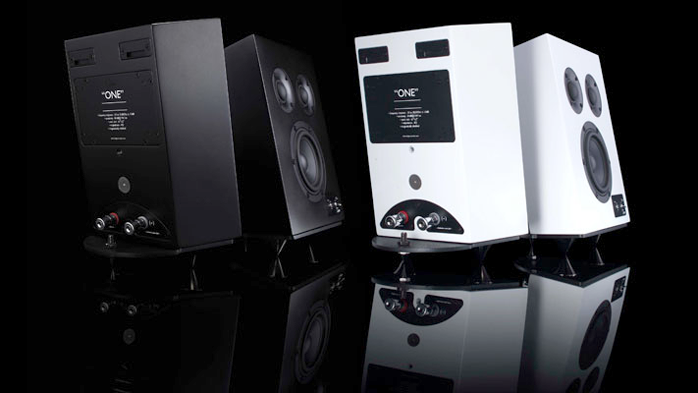 The manufacturer caters to both the consumer and professional markets and the speaker line can lay claim to studio monitor status. 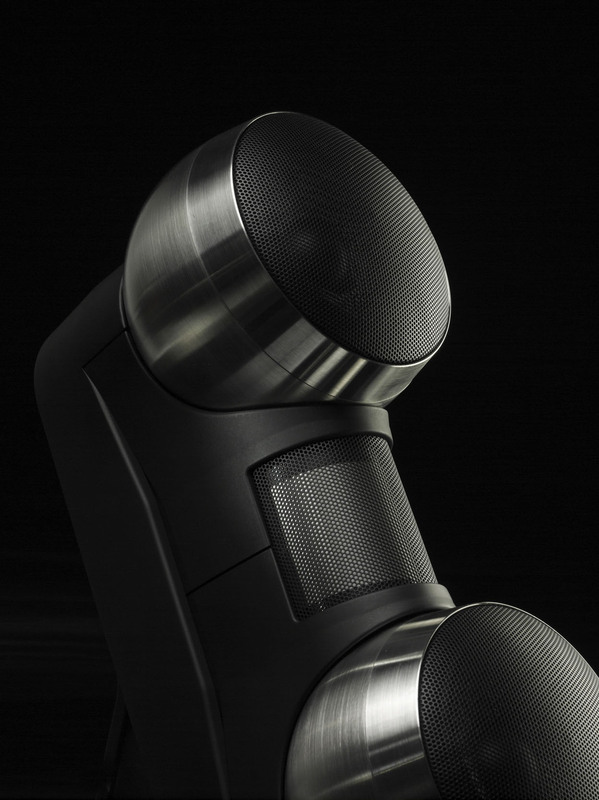 The ONE speaker can be described as a lifestyle component with very HighEnd aspirations. To quote, "our philosophy is that the hifi system should blend with our living space without intruding into it." While this certainly describes the lifestyle aspect, the question people will ask themselves is what makes it a serious audiophile offering? Some very radical engineering as it turns out. Ologe’s approach contradicts popular dogma. The ONE is a relatively small sealed box. Not so unusual? Claimed bandwidth is 58 to 30,000 Hz +/- 1dB with high power handling. Those figures are achieved from an enclosure with almost zero internal volume. Did that grab your attention? Since the concept seemed so paradoxical, my first order of business was to contact the manufacturer. Q: Why did you choose a sealed box enclosure? A: We felt it was the best way to achieve linear response and minimize phase shift. 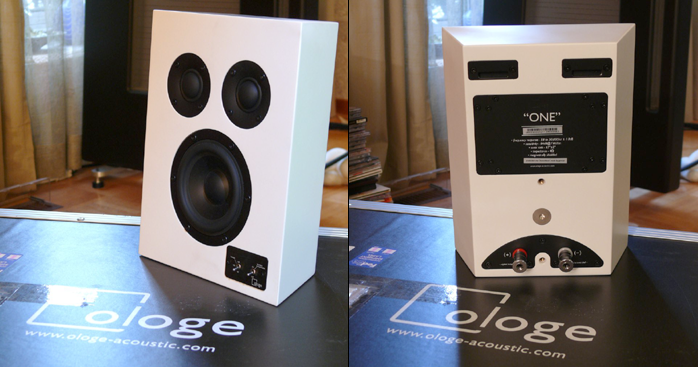 Also Ologe’s sonic character comes from the driver design which utilizes less volume and the baffle size ratio with position of driver. We designed the driver first and calculated the best front baffle size and position of the driver. 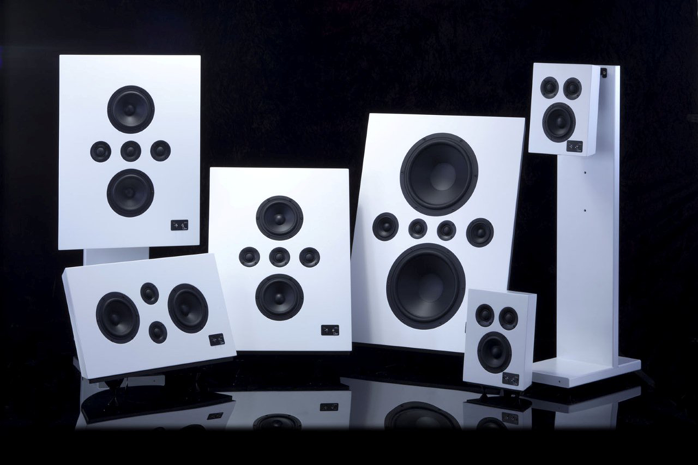 We have 4 models and all tweeter/woofer combinations are different although similar in appearance. 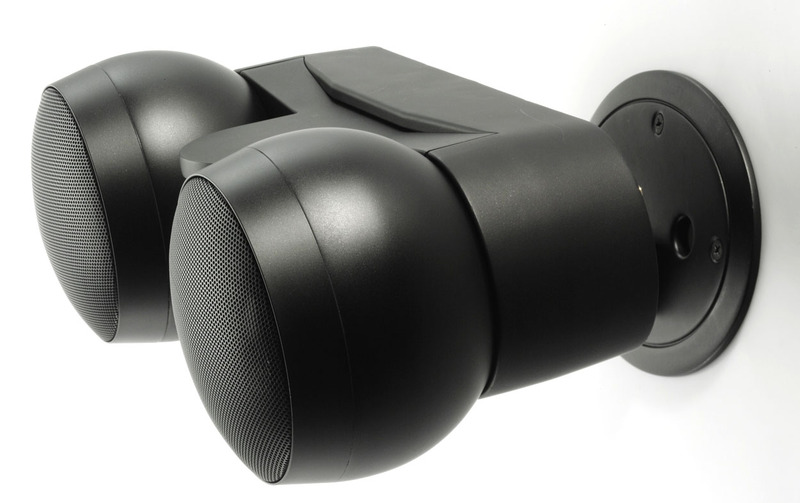 For the ONE we chose 1 x woofer + 2 x tweeter and our 3.75" woofer can get better performance than a larger size unit. 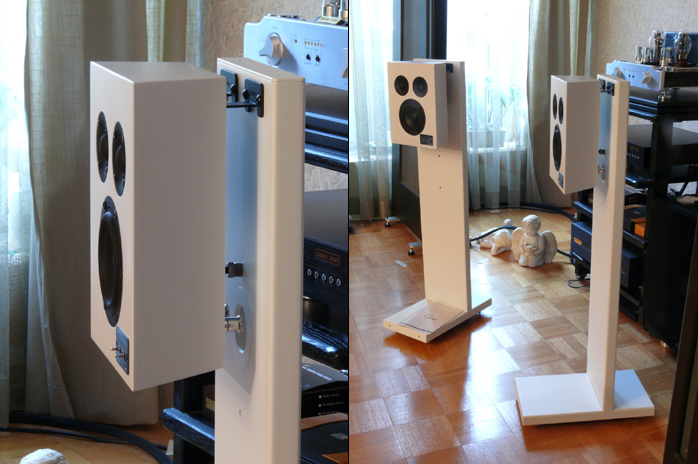 Q: Why did you go with a twin tweeter array? 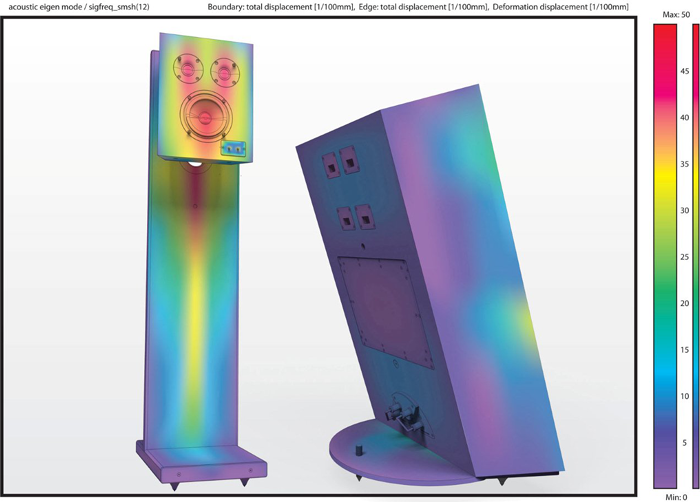 A: This array works with the calculation of baffle size ratio and position of driver to let the speaker produce more directional information and a larger soundstage. The benefit of such a design is to minimize the sound reflections in the room so you hear more direct sound and less reflected sound. In the case of the Model ONE it is very directional in the horizontal direction which means it minimizes reflections off the side. 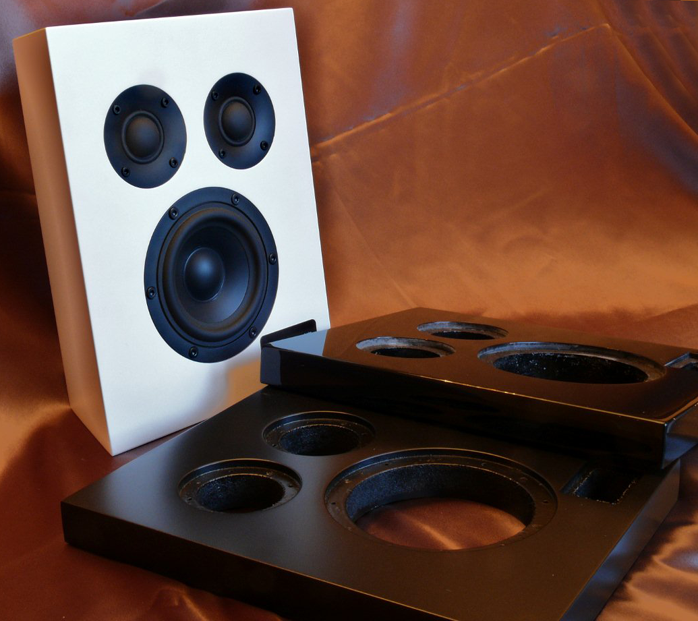 The ONEs are size and placement friendly and finished in a choice of matte white, matte black or piano gloss black. They have a distinctive look that should complement any modern décor. 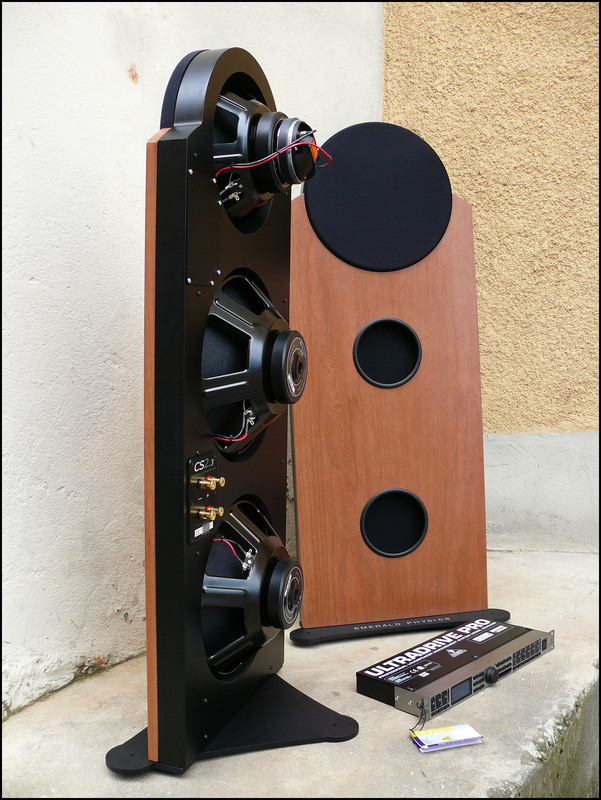 They diverge from the traditional audiophile box shape by opting for a shallow profile with bottom and two sides sloping towards the rear, giving the speaker a floating appearance. The cabinet is extremely solid and constructed of high-density wooden board as opposed to the more common MDF. The baffle is 25mm thick.